Telling A Child About Divorce | What is Psychology? Happily ever after is often something that you only see in fairy tales. It rarely occurs in real life, even with couples who profess undying love to each other on their wedding day. There are many reasons partners getting divorced these days. And although marriage counseling can help, few marriage mates make use of the resource. Though many parents don’t want to burden their kids with the problems that they are facing as a couple, the reality is that kids either have an idea about what’s going on or they already know of the problems through observation or from other people’s slips. It is really hard to tell someone, let alone impressionable kids, about very bad news. However, parents should face this difficult task in order to encourage healing and adjustment. 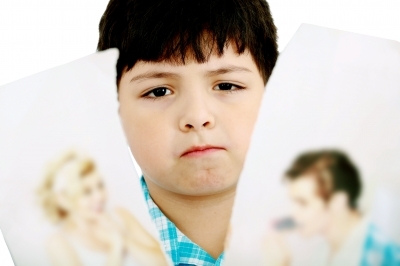 According to Pickhardt (2011), young children who experience divorce react quite differently from someone who has already entered adolescence. Young kids tend to give a regressive response and become more dependent, while teens typically show a more aggressive response and become more independent and distant. Good communication with children during this period is essential — after all, children often think that they might be the source of any perceived conflict. If you are going through a divorce, here are a few tips about how you can explain a divorce to your kids. Moms and dads love their kids, and there are times when parents forget to tell their kids “I love you.” Nevertheless, when going through a tough time, it’s even more important to reaffirm to your children that you love them. This will send them the message that although you and your spouse are getting a divorce or living apart, your feelings for your kids are as powerful as ever. You can also show them your love by keeping to your usual practices, such as helping them with homework, going to special school events, or telling bedtime stories. Some parents think that keeping the truth from their kids will protect them from heartache. But the reality is that lying to them usually makes things worse. When explaining things to them, it’s important to pick a good time and to explain things as simply as you can. — Choose a good time. Well, there really is no perfect time to tell kids about bad news. But what you can do is choose a really good time to explain things to them. A “good time” means that you have enough time to give an unhurried explanation about the divorce or separation. Don’t start explaining as you’re preparing for school or work, or heading off to clarinet practice. Also, only tell kids about a divorce if you are already a hundred percent sure that you’re getting one. — Keep it simple. Use terms that your kids will readily understand. Avoid long-winded explanations. Make sure that you give details about how both of you are going to carry on with child care. For instance, tell them that though Daddy is going to be living in an apartment, he’ll still be there for special occasions or school productions. The couple must be present when the truth is being described to their children. This will allow the kids to understand both sides better. Also, by presenting a united front amidst relationship struggles, the couple further confirms that they will still work together even if they’re going to be staying apart. Kevin Pack. “Portrait of a sad child”. June 28, 2008. Online image. Flickr. July 20, 2013. Claire Wolfe is a freelancer who likes to blog about legal issues, particularly those that pertain to family law. Click here to view more about law that covers family-related issues and other domestic concerns.